Domestic Violence Awareness Nail Wrap Styles! Two things that are important to me! For one, I am an independent consultant for Jamberry, so I already love their nail designs. I love mixing and matching wraps, and I always feel good when I wear them. So, I was excited when their Sisters’ Style design for the month was created to raise awareness for domestic violence! I will wear these with pride, and hopefully, get the chance to start some conversations to validate others who have survived domestic violence, or educate people who don’t understand what all it includes. 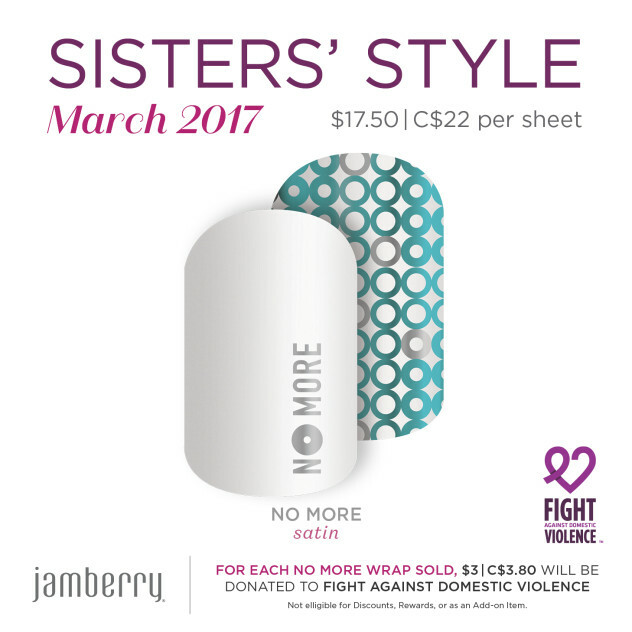 $3 US will be donated to Fight Against Domestic Violence for every wrap purchased. Please consider ordering and wearing this design to open conversation about domestic violence!